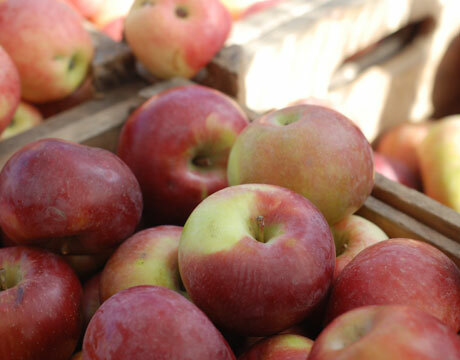 Whoa, did you know that there are over 7,500 different kinds of apples? Well, we certainly didn’t. And we feel that it is our duty to personally seek out and try each and every one of them in the next few days. …Just kidding. That is a horrible idea. Instead, we are going to participate in the ever-so-festive fall activity of APPLE PICKING! With our spoils we will create all kinds of appleicious dishes. Check back next week to see what we come up with. This entry was posted in Apples. Bookmark the permalink.